Do you have crooked teeth? Would you like straighter teeth? Patients are beginning to realise that it’s not too late to have straighter teeth as an adult. Orthodontics is now for everyone! You’re never too old to straighten your teeth! Many people often think that if you don’t have treatment as a child that nothing can be done – not true! Some are put of by the thought of wearing unsightly ‘train-track’ braces for up to 3 years – no need to worry! Brookview Dental offer a host of solutions to help patients achieve the smiles they’ve always wanted. Patients want removable, invisible, fast solutions to their crooked teeth and we try to accommodate them when we can. The treatments available at the practice include Invisalign invisible braces. 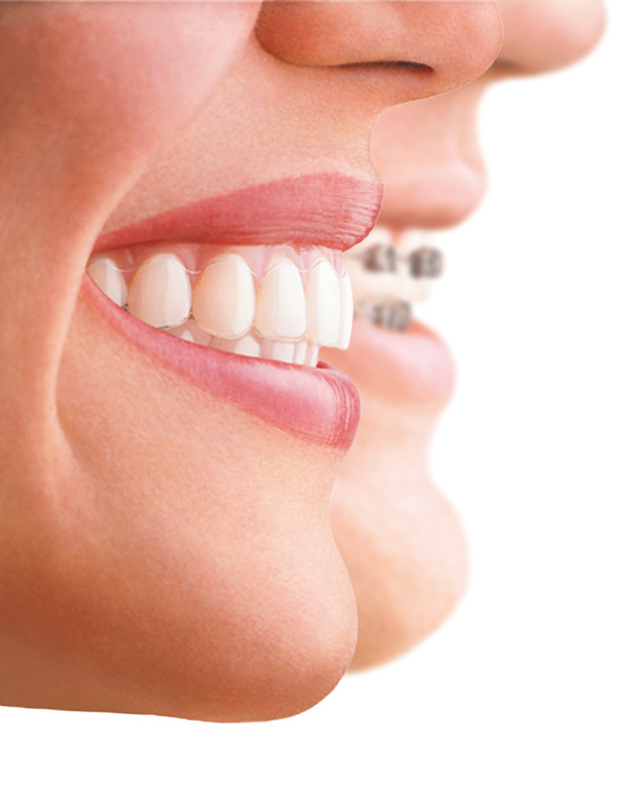 Invisalign achieves straighter teeth by a series of custom-made “Aligners” that move teeth incrementally. Each set is worn for about two weeks, then replaced by the next in the series until the final position is achieved. They are nearly invisible – you can straighten your teeth without anyone knowing. They are removable – you can eat and drink what you want in treatment; you can also brush and floss normally to maintain good oral hygiene. They are comfortable – there are no metal brackets or wires to cause mouth irritation; no metal or wires also means you spend less time in the dentist’s chair getting adjustments. They allow you to view your own virtual treatment plan before you start – so you can see how your straight teeth will look when your treatment is complete. However lnvisalign may not be for everyone – when you come for your consultation we can advise you on this.